IBBC has the pleasure to invite its members to celebrate Holi (Festival of colors) at the premises of the Embassy of India (4 Alfred Nobel Str., Sofia) on 31st March, 2019, Sunday, at 11:00 a.m.
Екипът на ИББК ви пожелава много здраве, успехи и пролетно настроение! External Affairs Minister of the Republic of India, Smt. Sushma Swaraj was on an official visit to the Republic of Bulgaria on 16-17 February 2019. 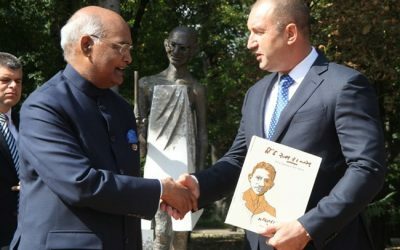 The visit is a follow-up visit to the State Visit of the President of India to Bulgaria in September last year. The Indian Council for Cultural Relations (ICCR) kindly approved the extension of the last date of submission of applications for Scholarships under the Cultural Exchange Programme / Education Exchange Programme for the academic year 2019-20 from 28th February to 31st March 2019. 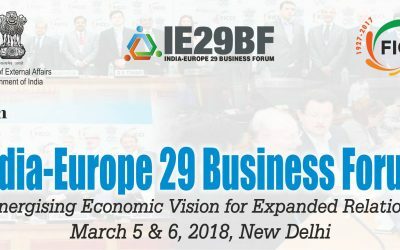 It is a pleasure to invite you on behalf of the Indian-Bulgarian Business Chamber to a very interesting meeting – lunch with a special guest H.E. 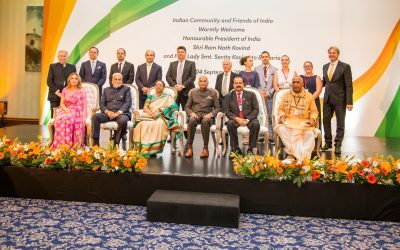 Ms Pooja Kapur, Ambassador of Republic of India in Bulgaria. Happy Republic Day to our Indian Partners and Friends! Happy Republic Day to our Indian Partners and Friends! 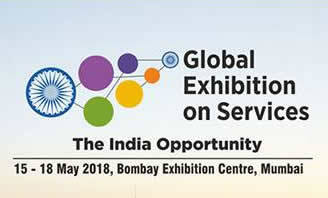 May India always hold a prestigious position on the map of the world. IBBC would like to announce that Energy Efficiency Services Limited has published a Notice Inviting Tender under International Competitive Bidding (ICB) for “Procurement of 5 million Smart Meters for Pan India”. 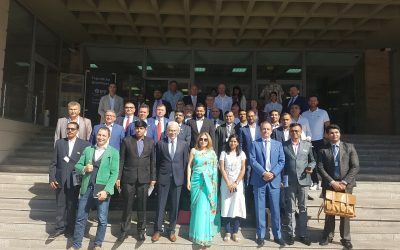 On 11th December 2018 the 2nd General meeting of the members of the Indian – Bulgarian Business Chamber was held in Sofia, in the presence of the H.E. Petko Doykov, former Ambassador of Republic of Bulgaria in Republic of India, H.E. Eleonora Dimitrova, Ambassador Designate of Republic of Bulgaria in Republic of India and Mr. P. Subhash Nair, Head of Chancery in the Embassy of India. IBBC is pleased to announce the renewal of MoU with ASSOCHAM on 24th Sept.2018. 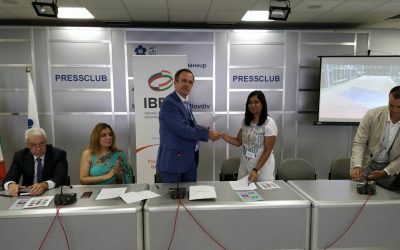 As part of it, IBBC will continue to officially support its members in their efforts to develop business partnerships and opportunities in India and Bulgaria. На 24.09 се състоя бизнес среща „Индия-България – нови бизнес възможности“ в пресклуба на Международния панаир Пловдив. Н.Пр. Президентът на Република Индия Рам Натх Ковинд бе на държавно посещение у нас от 4 до 6.09.18. 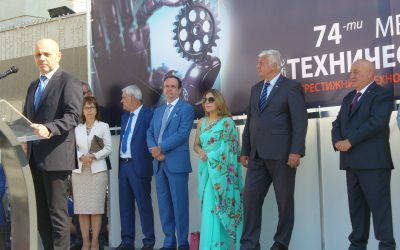 Mеждународно търговско изложение „Delhi International Trade Fair”, 12-21 октомври 2018 г. в Нойда, Индия. Mеждународно изложение за земеделски технологии „CII Agro Tech 2018“, 1-4 декември 2018 г., гр. Чандигарх, Индия. Възможност за финансиране от индийска страна на българско бизнес участие в Международното изложение в сферата на услугите “Global Exhibition on Services”, 16-18 май 2018 г., гр. Мумбай, Индия. Indian-Bulgarian Business Chamber wishes you and your family very Happy Diwali. "Let this Diwali burn all your bad times and enter you in good times." Информираме Ви, че в края на януари 2017 г. индийското правителство въведе “данък услуга“ (service tax) от 4.5% върху сумата, плащана за транспортирането на всички вносни стоки/суровини по море до Индия и свързаните с това услуги. Membership is open to individuals and companies of all sizes that demonstrate interest in fulfilling the purposes of the Chamber and benefit from its goals and activities.